CNBC - YouTube lost 5 percent of its U.S. and Canadian top ad clients during the month of April after reports that some ads were running next to inappropriate content, according to ad analytics platform MediaRadar. The April dip followed a report in late March which showed that ads for companies including Mercedes-Benz and Waitrose were running next to neo-Nazi and jihadist content on YouTube and on websites whose advertising was placed by Google-owned platforms. MediaRadar — which works with more than 1,600 publishers including The New York Times, BuzzFeed, and Bloomberg — uses artificial intelligence to track advertising and sells that data to companies. The 5 percent were customers of Google Preferred, YouTube's program for advertising on its top-tier videos. It is bought in an "upfront" style, meaning companies commit advertising money before programming runs. But that doesn't mean they can't back out. "Securing ad space in advance is not a promise to run ads no matter what," MediaRadar CEO Todd Krizelman said. "Advertisers and their agencies can immediately cancel or put campaigns on hold if they are worried about brand safety." Five percent is not insignificant, but it would require more defections for the company to really feel the impact. Mizuho said if 10 percent of brands pulled their ads, it would decrease the company's earns per share by $0.15 cents this year or a little under 1 percent of the value. Google did not respond to a request for comment. 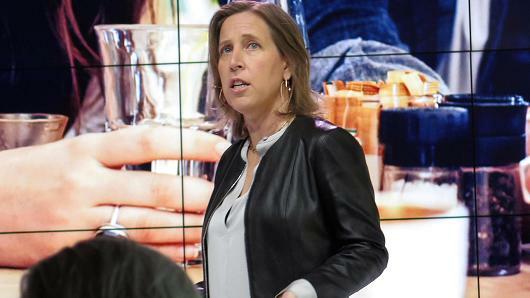 YouTube CEO Susan Wojcicki said on Thursday during Brandcast, Google's annual presentation of upcoming content for advertisers, it was working on fixing the ad adjacency issue with more technology, giving brands more control over where their ads run and bringing in third-party companies like comScore and Integral Ad Science to monitor content. Brands that pulled advertising seem to be coming back as well. YouTube said at the event that Johnson & Johnson — which initially pulled ads after the adjacency problems — would sponsor an upcoming talent competition series produced by Ryan Seacrest. "We apologize for letting some of you down," Wojcicki said. "I'm here to say that we can and we will do better."